Doorknobs, countertops, keyboards, phones…the list of things we touch that may be covered in germs is endless. Would you like to know the secret to staying healthy this winter? WASH YOUR HANDS! Studies have shown that handwashing can prevent 1 in 3 diarrhea-related sicknesses and 1 in 5 respiratory infections, such as a cold or the flu. Why is handwashing so important? People often touch their eyes, nose and mouth without realizing it, allowing germs to enter their bodies. Germs from unwashed hands can get into food and drinks when people prepare or consume them, and they can also be transferred to other objects (such as doorknobs, tables or toys). By washing your hands properly, at key times throughout the day, you can stop the spread of germs, keeping yourself and your family healthy this winter. 1. Soap is a must. Washing your hands with soap is more effective than using water alone. Surfactants, the compounds in soap, help to “lift off” or remove soil and microbes (germs) from your skin. People also tend to scrub their hands more thoroughly when using soap, which helps to remove more germs. 2. Hot or cold? It doesn’t matter. The temperature of the water doesn’t appear to affect microbe (germ) removal. Germs are essentially being “lifted off” your hands with soap and manual labor (scrubbing), and rinsed down the drain by running water. 3. Don’t sell yourself short. Scrub your hands for at least 20 seconds. Need a timer? Hum the “Happy Birthday” song twice from beginning to end. 4. Be thorough. Clean all areas of your hands, including often missed spots like the backs of your hands, in between your fingers, and under your nails. 5. Hand sanitizer is an option. If you don’t have access to soap and water, use an alcohol-based hand sanitizer that contains at least 60% alcohol. Use enough sanitizer to cover all surfaces of your hands, and don’t rinse or wipe it off before it’s dry. Hand sanitizer may not kill all germs, especially if your hands are visibly dirty or greasy. To read more visit http://www.clintonhealth.org/handwashing. Healthy gums and teeth are important for your child’s overall health. It’s important to start thinking about good oral health even before your little one has any teeth. A few days after your baby is born, start wiping their gums with a clean, moist gauze pad or washcloth. This helps remove plaque that can harm teeth about to come in. At the first sign of a tooth coming through gently brush your little ones teeth with a child’s size toothbrush. Moisten the toothbrush with water and use toothpaste that contains fluoride. (There is no need to wait until the age of two anymore). It is also time to schedule their first dental visit. The American Dental Association recommends that your child’s first dental visit should be within 6 months after their first tooth appears, and no later than their first birthday. For children younger than three years, help your child brush and use no more than a smear (the size of a grain of rice) of toothpaste containing fluoride. Brush their teeth two times a day (morning and night) or as directed by a physician or dentist. For children three to six years of age, you can use a pea sized amount. Continue to help your child at this age, and remind them not to swallow the toothpaste. When your child has two teeth that touch, this is the time to start flossing every day. Fluoride varnish is another safe way to protect your little ones teeth. It helps prevent cavities, and can stop cavities that have already started. The varnish is painted on at a doctor’s office or a dentist’s office. Last year, Clinton County Health Department partnered with all three of the large pediatric practices in Clinton County. Now all three pediatric practices offer fluoride varnish treatments. The next time you see your child’s doctor or dentist ask about fluoride varnish. Children’s brains grow most rapidly in the first three years of life. Parents can support their baby’s language and thinking skills starting from day one! Read and talk with your baby, even if he doesn’t talk back yet. You are his first and most influential teacher - you will always know your child best. Many parents can’t resist comparing their child to other children at daycare or in the neighborhood. Don’t worry – most children gain the skills needed to be successful in life, but they don’t all master skills at the same age. Developmental skills or milestones happen over a range of age: sitting up alone 6-8 months; walking 12-15 months; and saying Mama & Dada between 9- 12 months. These are averages and some children may be younger or older. 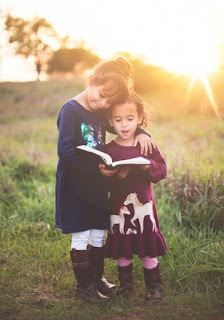 More information on development can be found on the zerotothree.org website where you can get updates regularly on what to expect based on your child’s age with suggestions of activities to help encourage new skills. If your child is between birth and 3 years and you would like a formal evaluation, you can call the Health Department (518-565-4848) and request a referral to the Early Intervention Program (EIP). A no-cost evaluation by a multidisciplinary team can tell you if your child is eligible for services and supports through the Early Intervention program. Services can be provided at home, at daycare or in the community. These services can help you and your family learn the best ways to care for your child, support & promote your child’s development, and include your child in family & community activities. Services are free, voluntary, and family centered. The purpose of EIP is to help you help your child learn and develop. Parents and professionals working together to help babies and toddlers develop and learn. Call 518-565-4848 for more information on the Early Intervention Program. The end of summer is here and many parents are shuffling around in a panic trying to figure out if their children are up to date with required school vaccines. But don’t worry, there’s a great tool in New York State which stores your family vaccinations in one place, it’s called the New York State Immunization Information System (NYSIIS). Ask your health care providers if they are part of NYSIIS. If they are not, and you want all of your family’s immunization records loaded into one electronic registry with NYS, contact the Clinton County Health Department at 518 565-4848. We’d be happy to help you! ü Replace lost vaccine records. Many common daily activities such as driving a car, using electricity, heating and cooling buildings requires burning of fossil fuels. These activities have increased levels of greenhouse gases in the air which is changing the planet’s climate. 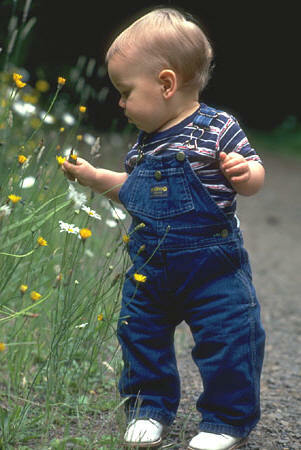 Climate change is affecting many things, including children’s health and safety. Rising Temperatures: Leads to more heat waves, children can be affected by increased temperatures, especially infants and athletes. Extreme weather: Leads to a rise in bad storms, floods and stronger wildfires. This can lead to dirty water, loss of homes and communities, and more air pollution. This puts children’s safety and health at risk as well as their mental wellbeing. Air Quality: A rise in pollution and allergens can increase allergy related illnesses, and cause breathing problems, especially in children with asthma. Mosquitos and Ticks: Changes in rain, length of the warm season, and differences in temperature can cause a change in mosquito and tick behavior, this leads to an increase in diseases such as Lyme disease, Zika Virus, Malaria, and West Nile Virus. Water and foodborne illnesses: Dirty water and spoiled food can cause people to become sick. These types of diseases, like diarrhea, are known to increase when outdoor temperature rises or immediately following storms or floods. 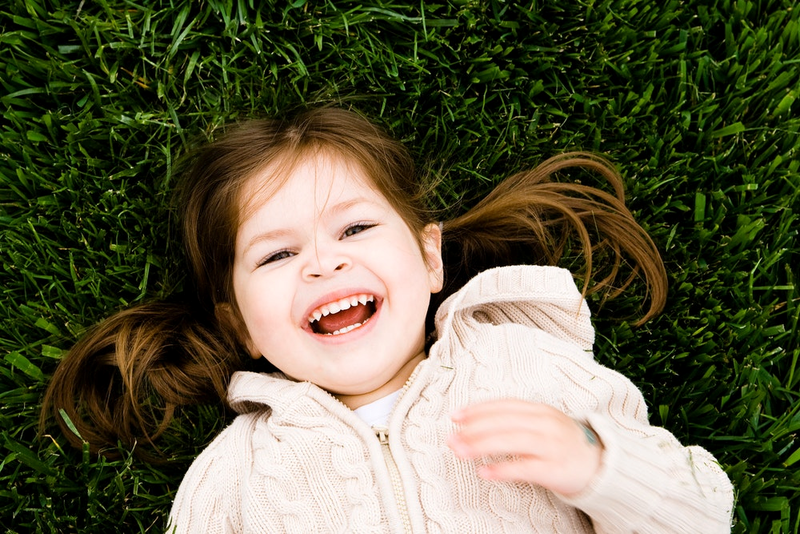 Children are especially at risk for these illnesses due to their developing immune systems. Access to food: In some parts of the world, climate change has already led to less food and less healthy food. 2. Cut down use of fossil fuels such as gas, oil, and coal and increase use of renewable energy sources such as wind and solar power. 3. Walk, or bike whenever possible. Let’s work together to leave the world a better, healthier, safer place- and give our children a better, healthier, safer future. Although World Breastfeeding Week has come and gone and National Breastfeeding Month is coming to an end, we all have a role to play in supporting breastfeeding families year-round. Chances are, at some point, each of us will know a mom who wants to breastfeed to keep herself and her baby healthy, it might be your daughter, sister, wife, neighbor, employee or friend. In 2015, 75% of Clinton County babies started off breastfeeding but by the time their 1st birthday came around that number dropped to just over 20%. We know that moms can face barriers along their breastfeeding journey so the Clinton County Breastfeeding Coalition set out to remove some of those obstacles to helps moms reach their goals while normalizing breastfeeding in the community. Breastfeeding Welcome Here Campaign - Members are recruiting local restaurants to display a Breastfeeding Welcome Here decal on their front door to do their part to support breastfeeding in the community. So far we have 13 restaurants participating, but we are always looking for more! If you own a business or would like to get a decal for your favorite restaurant just give us a call 518-565-4993. 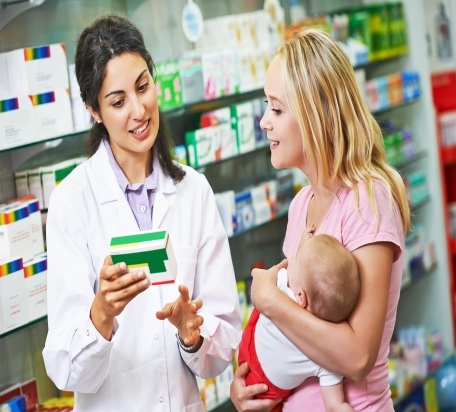 Pharmacy Toolkits - The coalition also conducted mini focus groups with local pharmacists and learned that they received very little training in school about breastfeeding and medication and would benefit from additional resources. We created toolkits to assist with counseling breastfeeding mothers. The kit includes a copy of Dr. Thomas Hale’s book, Medication and Mother’s Milk, a link to an online resource, LactMed, as well as a telephone number to call. We also provided each pharmacy with a small sign letting patients know the pharmacist could help if they had a question about breastfeeding while taking prescription or over the counter (OTC) medications. The take away is this: a little bit of encouragement from each of us can go a long way. The professional work we do to support moms is important, but changing the culture happens with the whole community! The leaves are changing, the days are shorter, and the air is beginning to get chilly. 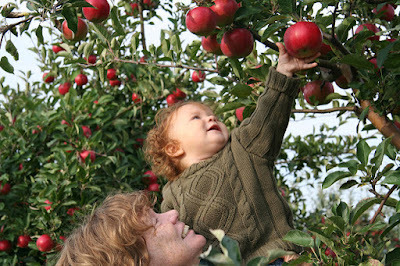 It’s almost fall in the North Country and that means it’s the season for apple picking, corn mazes, and pumpkin patches. Before you hibernate for the winter, get some fresh air and enjoy one or all of these activities. Not only are they fun, they are good for your physical and mental health. Here are 4 reasons to go out this fall. 1. Enjoy quality time with family. Take a break from technology and enjoy life at a slower pace. It will help you relax, build bonds and memories, and create traditions with your loved ones. 2. Physical activity, especially outdoors, helps give your mood and energy levels a boost. Being active is associated with a healthier heart and less stress. 3. You’re likely to go home with some delicious local fruits and vegetables at the end of the day. Eating a variety of fruits and vegetables helps protect against heart disease and helps keep your family healthy. 4. It helps build community. 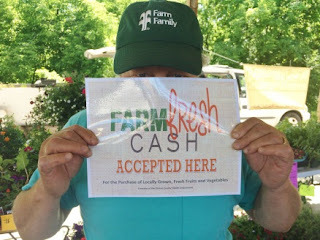 Not only will you be out and part of a community event, you are helping support local farmers. Go out and enjoy the autumn days, while they last! 2017 marks the 25th year that the World Alliance for Breastfeeding Action (WABA) is celebrating World Breastfeeding Week. This year’s theme is ‘Sustaining Breastfeeding Together’, reminding us that we all have a role to play in creating a community supportive of breastfeeding families. We all win when we protect and promote breastfeeding. Breastmilk provides a host of health benefits for both children and their mothers, protects our environment, creates food security, and saves the United States upwards of $13 billion. In celebration of World Breastfeeding Week, partners of the Clinton County Breastfeeding Coalition will be hosting family friendly events and we encourage you to show your support. Tuesday, August 1st – Tune into WIRY 1340 AM or 100.7 FM at 11:00am to hear what is happening around breastfeeding in our community. 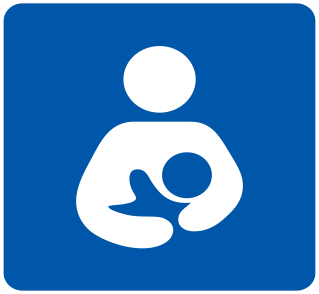 Friday, August 4th – Stop by the Breastfeeding Block Party at the US Oval in Plattsburgh between 5:00pm-7:00pm. The whole family is invited to attend. There will be outdoor play, snacks and giveaways. In the event of rain the Block Party will be moved inside at Family Connections on the Oval. This event is hosted by the Child Care Coordinating Council of the North Country and WIC. For more information call 518-561-4999. You don’t have to breastfeed to be an advocate for breastfeeding, let’s support mothers to breastfeed anytime, anywhere. 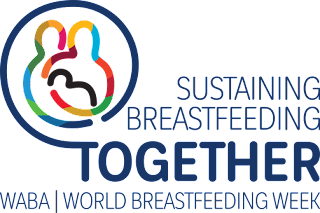 The 2017 World Breastfeeding Week theme is 'Sustaining Breastfeeding Together'. Buying local isn’t just about supporting your local economy; it’s about buying the freshest, tastiest food for you and your family! We’re reaching the height of the farmers’ market season. 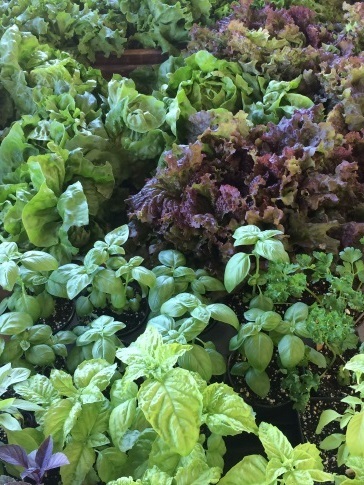 With six local farmers’ markets and dozens of other farm stands in Clinton County, you have access to delicious food grown right in your back yard. What better way to feed yourself the daily dose of at least five fruits and veggies? Here is your summer challenge: stop by a local market or stand this season and try a new fruit or vegetable! Want to learn more about healthy eating habits? The Clinton County Health Department is here to help. We’re offering quick, interactive nutrition education sessions with tips and tricks to select, store, and serve fruits and vegetables. Participate in one of our learning sessions, and we will give you a $10 Farm Fresh Cash Card to purchase locally grown fruits and vegetables at one of the participating farmers’ markets and farm stands. To schedule a nutrition education presentation, please contact: 518-565-4993. 4. At least 5 servings – more is better! 5. Possible answers: blueberries, strawberries, raspberries, apples, pears, radishes, potatoes, sweet potatoes, kale, spinach, turnips, swiss chard, carrots, onions, scallions, tomatoes, corn, beans, peas, peppers, beets, cucumbers, squash, garlic, zucchini, asparagus, broccoli, cauliflower, brussels sprouts, eggplant, pumpkin, rhubarb, etc. Summer in the Adirondacks is finally here. It’s time to enjoy all that our beautiful region has to offer, from activities at the lake, walks on one of our many local trails, to hiking our scenic mountains. Unfortunately, it’s also the time of year that pests like ticks and mosquitoes are most common. Aside from being annoying, infected ticks and mosquitoes can spread diseases. Lyme disease and West Nile virus (WNV) are two of the more common tick- and mosquito-borne illnesses in our community. 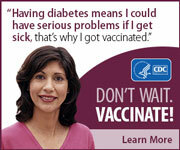 PREVENTION is your best defense to keep yourself and your family healthy. 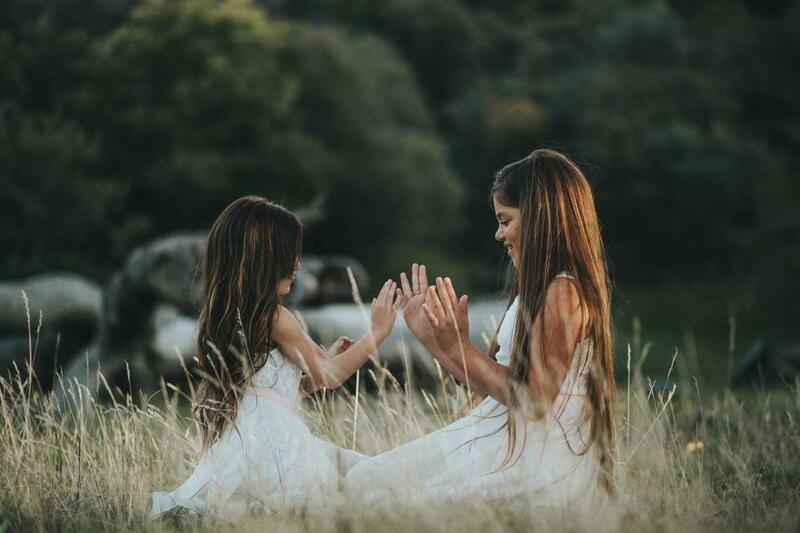 · Use an Environmental Protection Agency (EPA)-registered insect repellent that contains 20-30% DEET, picaridin, IR3535, or oil of lemon eucalyptus. · Cover your skin as much as possible. Wear enclosed shoes, long pants and a long-sleeved shirt. Tuck pant legs into socks or boots and shirt into pants. · Wear light-colored clothing with a tight weave to spot ticks easily. · Cover baby carriers and strollers with mosquito netting when outside. · Treat clothing and gear (such as boots, pants, socks, and tents) with permethrin or purchase permethrin-treated clothing and gear. Mosquitoes may bite through thin clothing. · Take a shower as soon as you can after coming indoors to wash away unattached ticks. · Look for ticks on your body. Young ticks are usually the size of a poppy seed, while adult ticks are about the size of a sesame seed. Ticks often hide under the armpits, behind the knees, in the hair, at the waistline, and in the groin. · Put your clothes in the dryer on high heat for at least 10 minutes to kill any remaining ticks. For more information on ticks visit http://www.clintonhealth.org/ticks, and for more information on mosquitoes visit http://www.clintonhealth.org/mosquitoes. On Thursday May 18th, 2017 the Creating Healthy Schools and Communities grant hosted a Complete Streets workshop, Community Design with Health in Mind, featuring Mark Fenton. Mr. Fenton is a nationally recognized public health, planning, and transportation consultant. 40 people attended with representation from many different fields including Town Supervisors and Board Members, school professionals, Town and City Planners, Engineers, Program Directors, community members and more. The day started with a keynote presentation of Mark sharing proven approaches and best practices, with a focus on Complete Streets and Safe Routes to School using local examples. 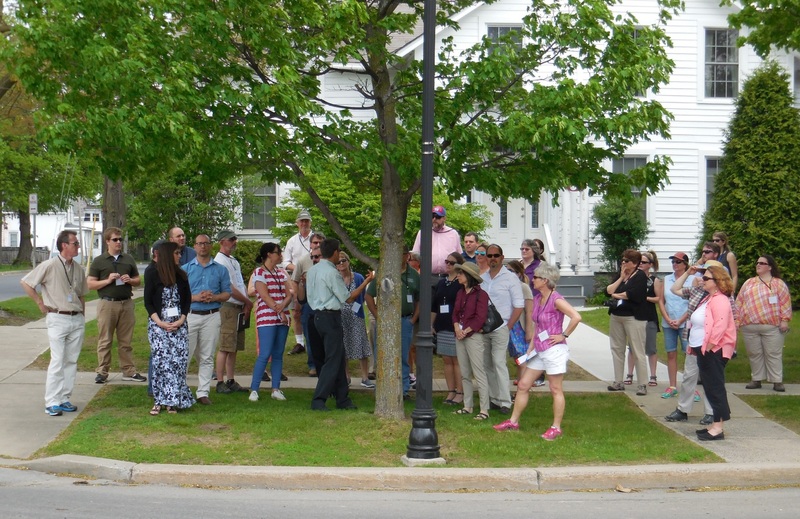 Mark led the group on a walking audit around the City of Plattsburgh, stressing the importance of the 3 P’s; prosperity, people and the planet. Mark showed the group how to identify areas for improvement in their own communities and use this knowledge to address issues and implement solutions. Mark Fenton leading a walking audit in the City of Plattsburgh. For more information about Creating Healthy Schools and Communities or Complete Streets visit http://www.clintonhealth.org/chsc. For more information about Mark Fenton visit http://www.markfenton.com/. Make School Meals Great Again? · Whole Grains – Since many schools are finding it hard to obtain whole-grain rich products and prepare them in a way that is appealing to students, the United States Department of Agriculture (USDA) “will allow states to grant exemptions to schools experiencing hardship in serving 100 percent of grain products as whole-grain rich for School Year 2017-2018”. This system has actually been in place since the 2015 appropriations bill. · Sodium – We all know that too much sodium can negatively impact our health (if you didn’t know; now you do!). To this end, the HHFKA requires schools to gradually (over 10 years) reduce the amount of sodium in school meals. A mandated sodium reduction was set to take effect July 1, 2017 however; the new proclamation states that schools do not have to meet this reduction until 2020. · Milk –Schools can now offer 1% flavored milk to students. This is a change since schools can currently only offer flavored milk that is fat-free and unflavored low-fat milk. The take away message – it is going to take longer for schools to fully meet the HHFKA nutrition standards. 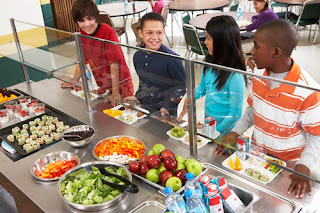 In the meantime the USDA is working to implement long term solutions and provide technical assistance to school districts so they can better comply with the nutrition standards. · Keep a pitcher of drinking water in the refrigerator instead of letting the faucet run until the water is cool. · If washing dishes by hand, plug the sink or use a wash basin instead of running water the entire time. · Scrape your plate instead of rinsing it before loading it into the dishwasher. Not rinsing dishes prior to loading the dishwasher can save up to 10 gallons of water per load. · Run the dishwasher only when it’s full. · Try composting instead of using the garbage disposal. · Turn off the tap when brushing your teeth or shaving. This alone can save a household more than 200 gallons of water per month. · Install a water-saving shower head. · Take a 5 minute shower instead of an 8 minute shower. This can save 7 gallons of water with EVERY shower. · Fix leaky appliances. Check for a toilet tank leak by adding a drop of food coloring to the tank. If the toilet is leaking, color will appear in the bowl within 10 minutes. Make sure to flush immediately after this experiment to avoid staining the tank. · The next time you purchase a washing machine, try a water-saving model. 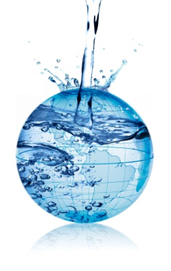 · Use a commercial car wash that recycles water. · Collect rainwater to re-use for irrigation and watering. 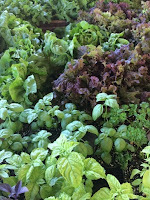 · Only water the lawn or garden when rainfall isn’t enough. In general, lawns only need up to one inch of water per week, including rainfall. Shrubs, trees and other perennials need even less. It is up to us to conserve our water supplies. By making these tips every day habits, you can make a difference.